Dogs are not just an animal companion in the house, they are also a member of the family. Spending your entire day with your dog which is your most loyal companion, is such a wonderful experience that provides an extreme amount of satisfaction. However, there will be days when you just can’t hang all day with him as you also have important matters to attend to. What is worse is, when you have to leave for a few days and there is no one to look after your dog. You cannot think of anyone who is responsible enough and will look after your precious pet with the same level of care and affection. Since you consider your dog as family, he is worth more than being left behind and locked in at home by himself. He deserves better treatment than that. That is why, instead of leaving your dog at home while you attend to your commitments, you can look for a dog day care facility which can take care of your dog while you are not around. It would be better if you can get recommendations or referrals from friends, because if they recommend a facility, they have most likely tried out the service already. But, if there are no recommendations, there is still no need to worry because you can look for professional pet sitters yourself. One way to do that is by going online and doing some research. What is a Dog Day Care Facility? 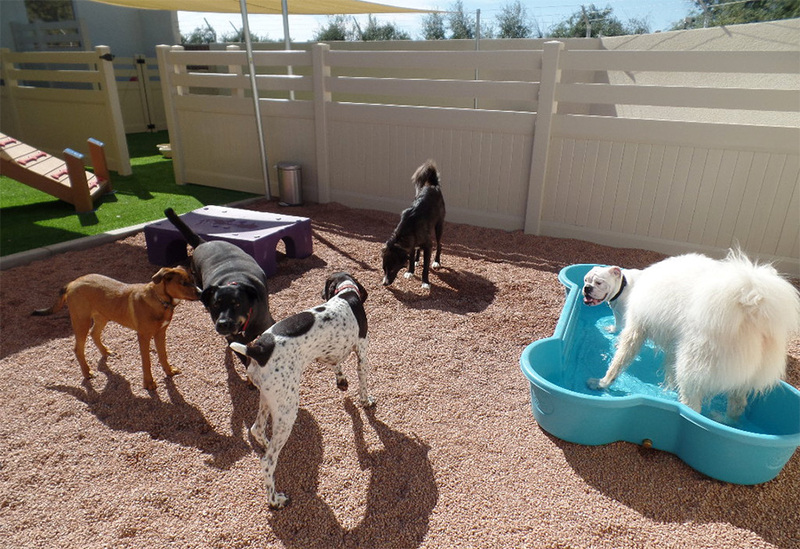 A dog day care facility is like a regular daycare facility for children, but for dogs. It is a short term boarding service for dogs whose owners need to be out for a few hours or even a few days. With a dog day care facility, you can be assured that your dog is in good hands. Aside from boarding services, a dog day care facility can also offer other services such as dog walking, training and grooming. One example of a great dog day care facility that you can consider is Camp Bow Wow which has about 130 company-owned and franchised locations across the United States. Camp Bow Wow provides quality dog care in their camp-like facilities, in-home pet care, as well as training services. If you will be gone only for a few hours and there is no dog day care available near you, you can also look for a dog sitter or a dog walker. Fortunately, you can also start your search online as there are those who offer their services to look after someone else’s dogs. It is important that you do a lot of research and not just hire the first person that you see. When you go and visit a pet sitter or a dog walker’s website, first impressions are very crucial. Always trust your instincts and listen to what your gut is telling you. Check basic information and make sure that you take note of the sitter’s email address, phone number, service area, services being offered, as well as the service fees. You also need to look at the transparency being displayed on the websites. The websites of pet sitters and dog walkers must convey that they are legit to make it easier for the customers to trust them. So if you are looking for someone to watch over your pet, it would be a great plus if you know the person by his/her full name, if you have a photo of that person, you are aware of his credentials and past experiences. Nobody would want to leave their beloved pet to a complete stranger. So if you have vital information about the potential pet sitter, you can do some background check on your own to make sure that your pet is in good hands. Being affiliated with major groups in the industry can also be a huge factor in attracting customers because it gives a sense of security. So, on your part as a customer, one thing to look out for in their websites is the logos of Pet Sitters International and the National Association of Professional Pet Sitters. You can also check the reviews from their previous customers and make sure that you read both the good and the bad. Testimonials from other pet lovers can be considered as one of the greatest clinchers whether you should go through with the service, or if you need to start looking for someone else. Remember, when it comes to your beloved pet who is also your family, it is always better to be safe than be sorry. So, to make sure that you will feel at ease while you are away, entrust your dog to a professional pet sitter or a renowned dog day care facility who has already made their name in the industry.